Tobias Levels went to the youth team of Mönchengladbach in 1999. He was acting in the Regionalliga team but the prospect often appeared in the A-selection of the club. In the 2008-09 season, Levels was permanent part of the A-selection and played regular matches in the 1. Bundesliga. He was under contract until 2013 at Mönchengladbach. 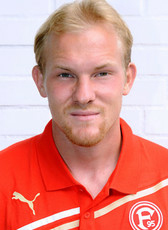 In the 2011-12 season he was loaned out to Fortuna Düsseldorf. At the end of his loan period, player and club decided to sign a new permanent contract for two seasons until June 2014. His contract expired and he left the club looking for new opportunities. In November 2014, Tobias Levels joined FC Ingolstadt on a free transfer for the rest of the season. His contract was renewed and he was under contract until June 2018. Levels was born in Germany. His parents came from the Netherlands but live in Germany. Therefore he has two nationalities (Dutch and German).